There is something about a perfectly seared crab cake dipped in spicy mayo that is ALWAYS good. 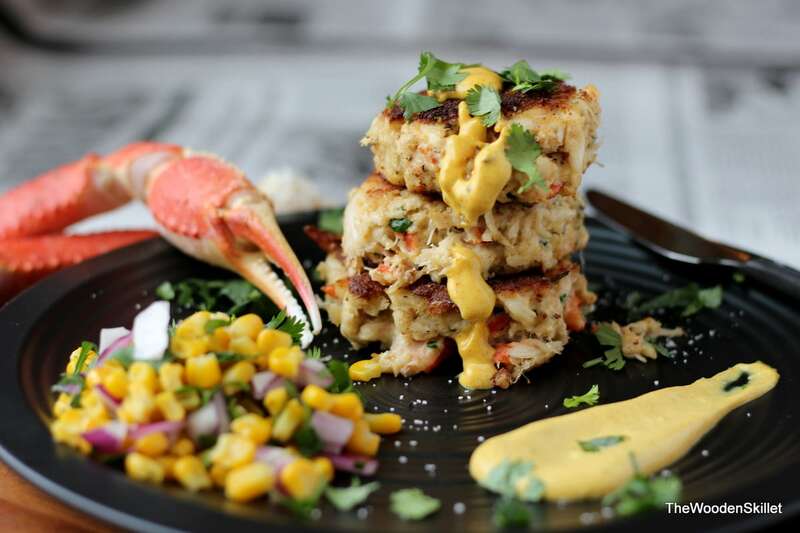 I am pretty picky with my crab cakes – I mean they need to be guh-ood. For that reason, I was nervous about this recipe – I had incredibly high expectations for myself. 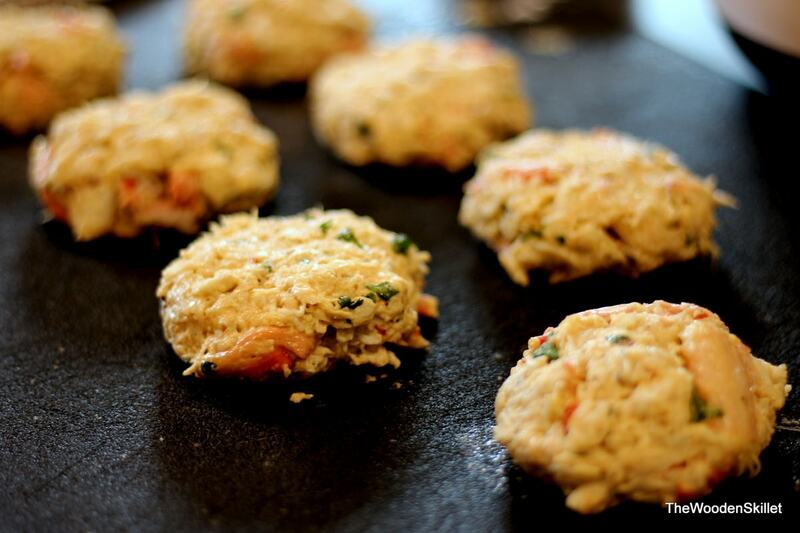 After dreaming up what I hoped was the end-all, be-all of crab cake recipes, I went for it. Not only was the taste perfection, but the star of it all was …. 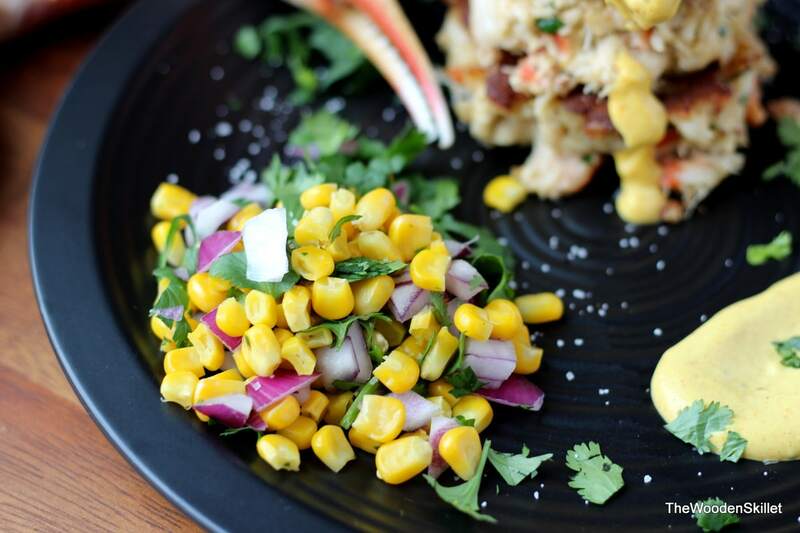 wait for it… the CRAB! 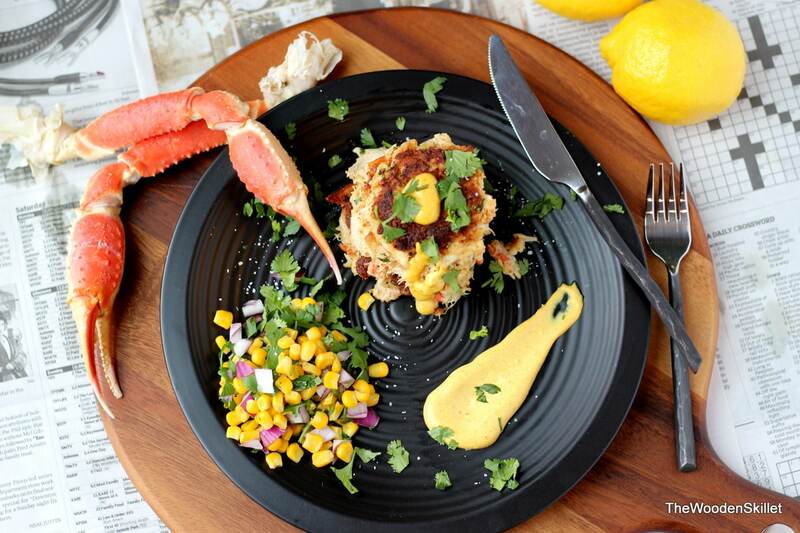 And that is kinda the way it should be with crab cakes – right? So, so good. The mixture of lump crab meat and fresh crab leg meat was the best idea ever. Not only was the taste better because of it, but if you use all lump crab meat (which is all white) you lose that pop of color that is so nice to see in your food. That combined with fresh cilantro added both a bright orange and green instead of just boring white and brown. 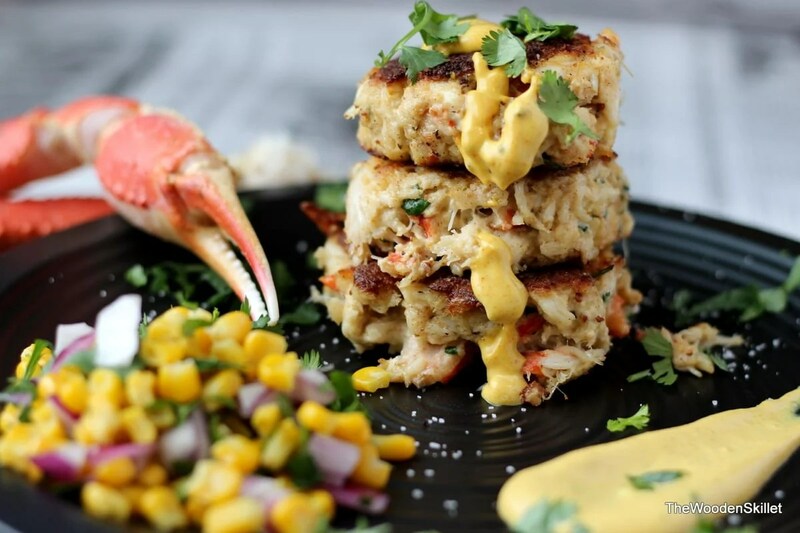 I was very intentional in using a little binder (bread crumbs/crushed saltines) as I could, because when I bite into a crab cake – I want to taste crab and not much else… Of course, you do need something to bind it all together, otherwise you just have a pile of crab that won’t stick together. I think I found the perfect balance. 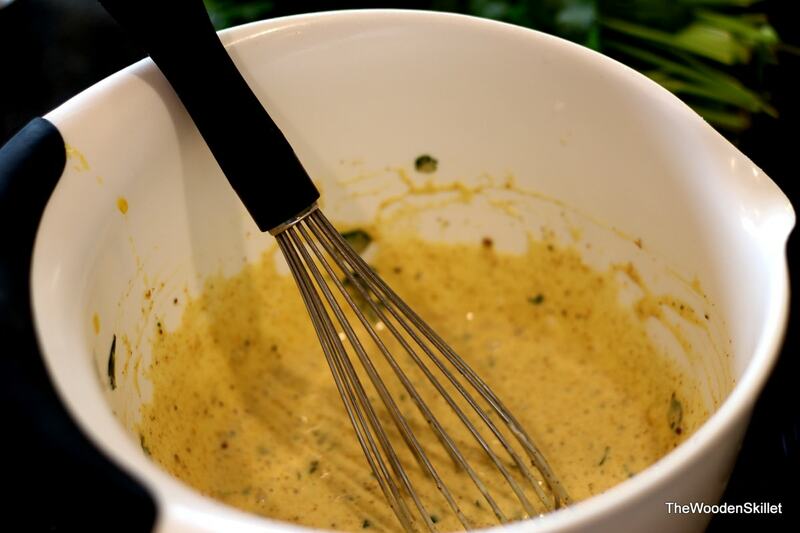 The spicy mustard mayo also came out perfectly – with some cayenne pepper and turmeric, this little ditty will most likely become a regular here. I served it with a lovely corn, red onion and cilantro “relish” this could all be plated as an appetizer or the main entrée. First boil your crab legs (about 3 full clusters). 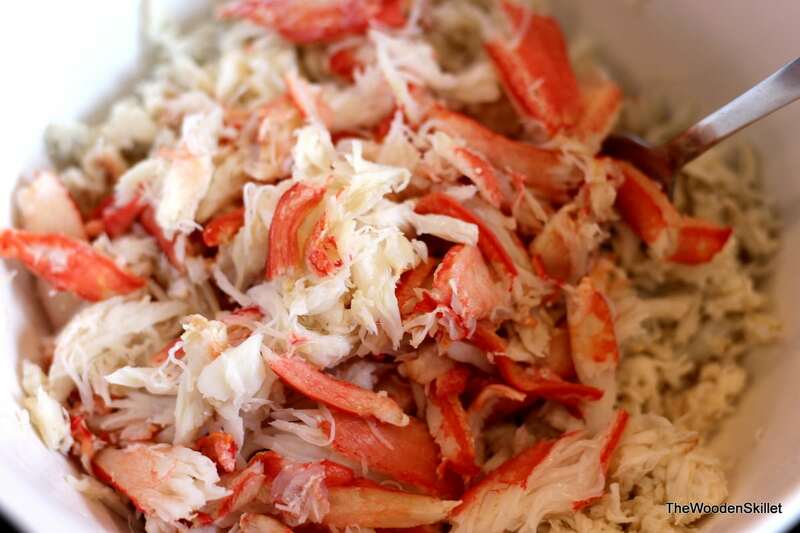 Add crab leg meat to deli-bought lump crab meat (see the color difference!). Add binder (a little bread crumbs and crushed saltines). 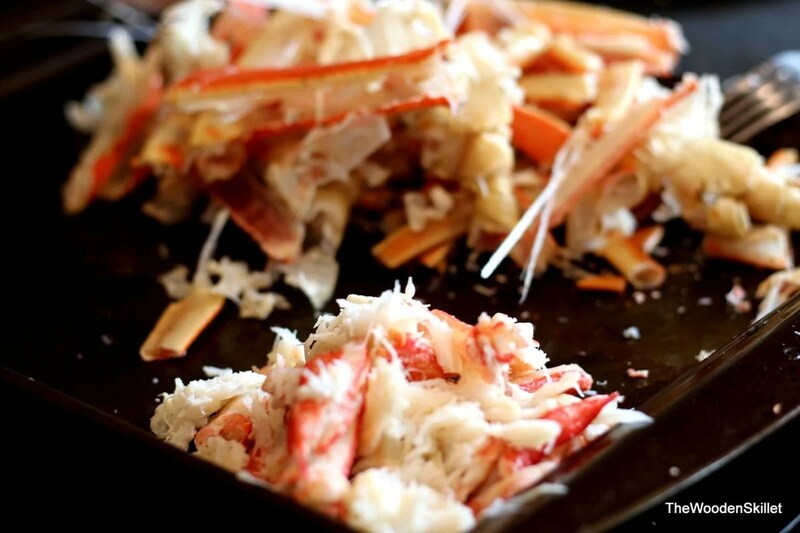 Then carefully fold in the mayo/egg/mustard mixture – be sure to fold it in so that you retain the chunkiness of the crab. After you have let the crab mixture cool for about an hour, create patties and get ready to cook. 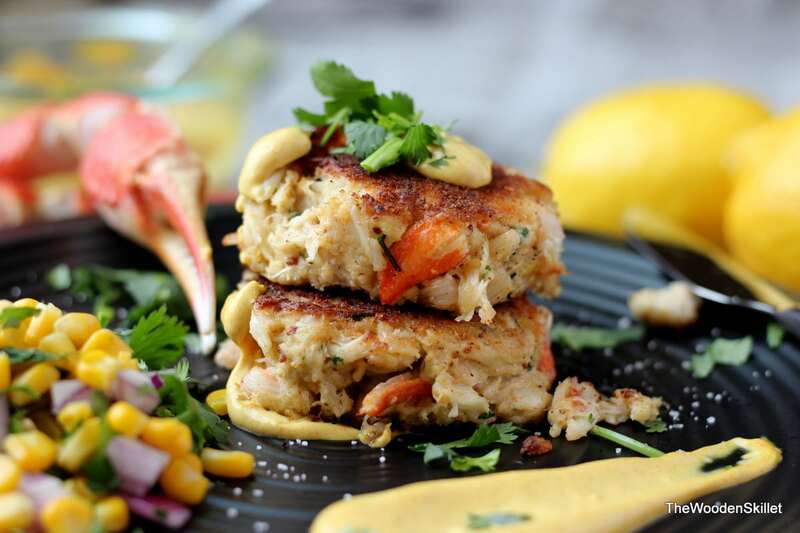 With some grapeseed oil in a hot iron skillet, ensure you sprinkle a little layer of bread crumbs on each side of the crab cakes, this will help keep them together since there isn’t too much binder in them. Cook for approx. 3 minutes per side on med. -med/high heat. Serve immediately with fresh cilantro, the spicy mayo mustard and the corn/red onion/cilantro relish is another bright pop of color (and tastes pretty damn good if I do say so myself – it is the simplest recipe ever – throw some corn, chopped red onion and chopped fresh cilantro together with a dash of kosher salt and call it done). 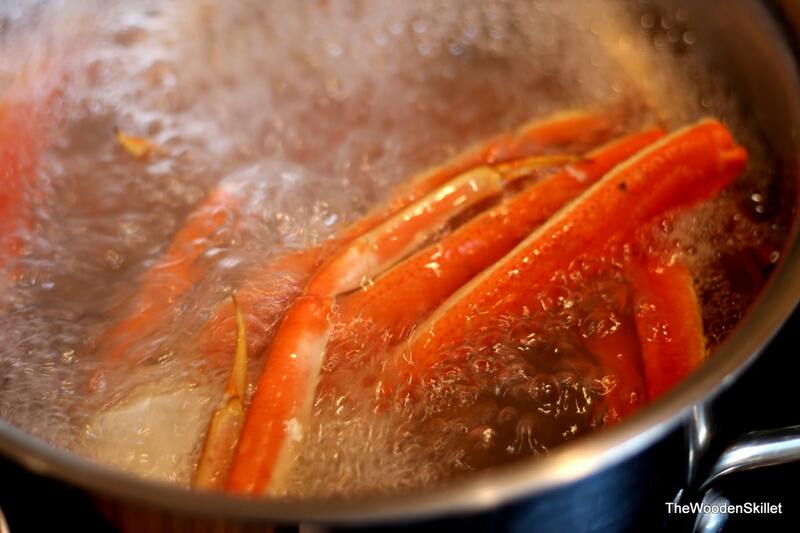 Take crab legs and boil for approx. 8 minutes or until fully cooked. 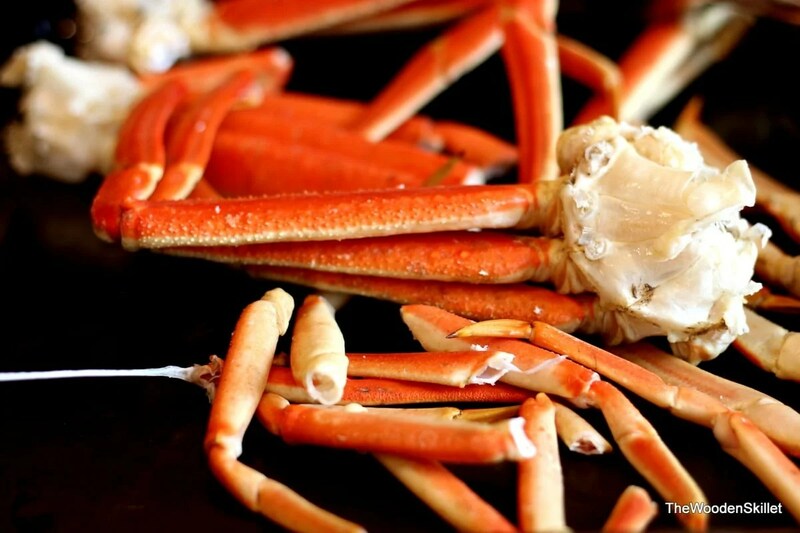 Let cool and remove crab meat. 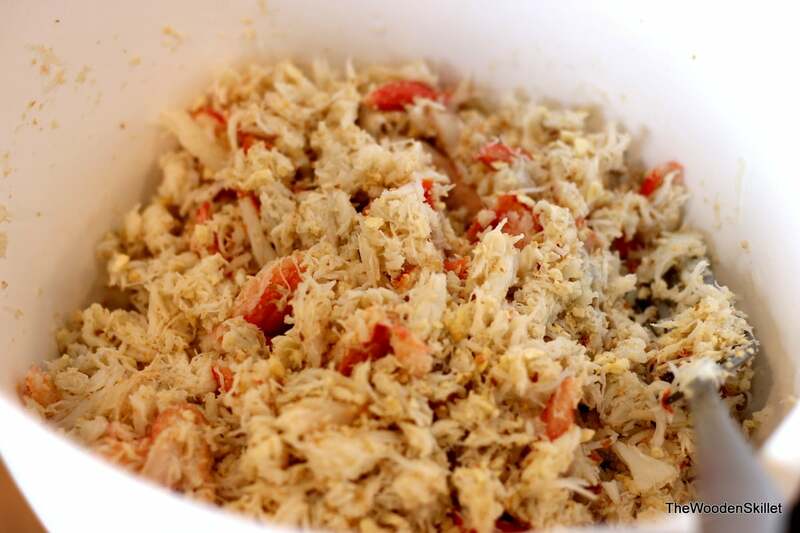 Combine lump crab meat and crab leg meat into one bowl and then add bread crumb/saltine mixture. In separate bowl, add egg and whisk. 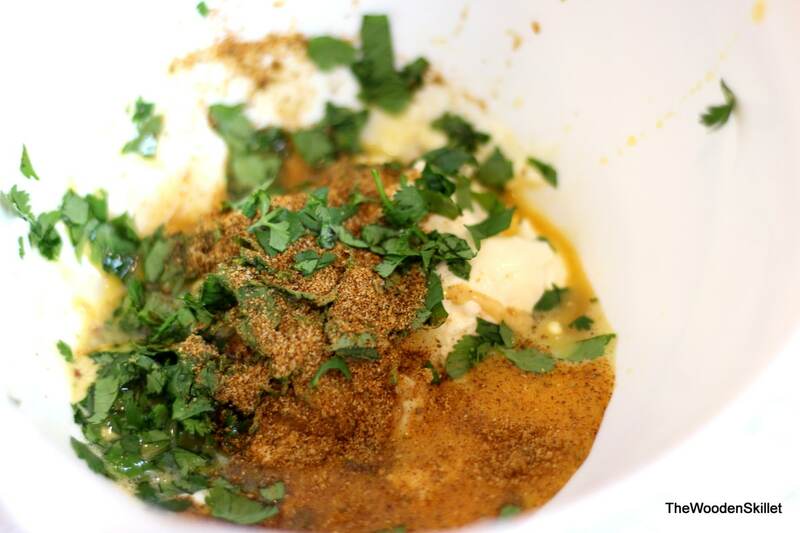 Then add mayo, Dijon mustard, stone ground mustard, worcestershire, garlic, cilantro, old pay, baking powder and salt to the same bowl with the egg. 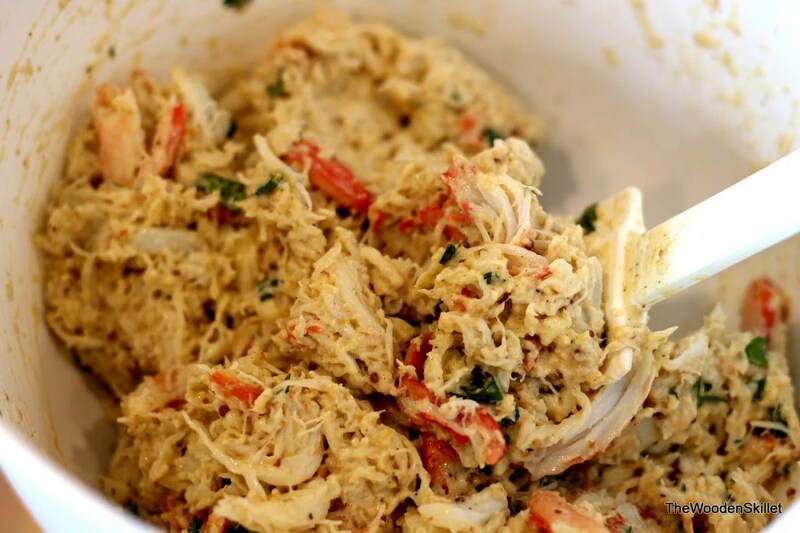 Add the egg/mayo/mustard mixture to the crab and slowly fold in so you do not break up crab chunks. Let cool in fridge for 1 hour. Form cakes out of the cooled mixture (should make 6-8). Place cakes in skillet, bread crumb side down and cook for 3 minutes. Before turning over, sprinkle some more bread crumbs on the other side before flipping over. Cook for an additional 3 minutes on the other side.